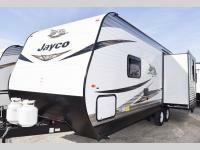 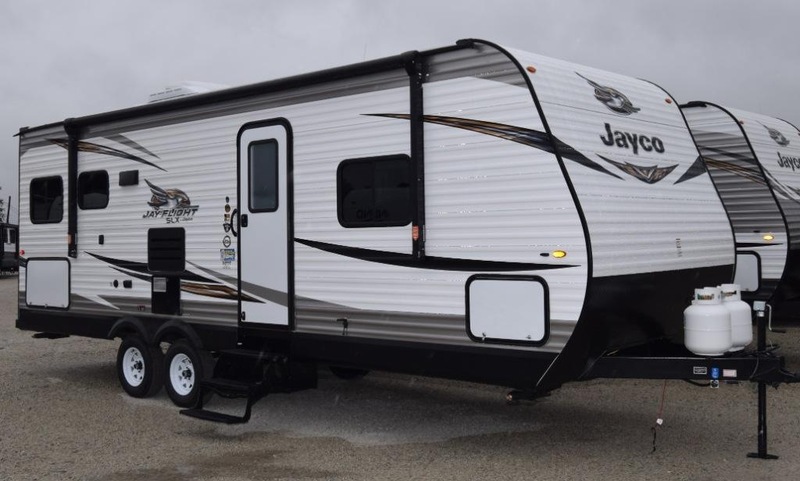 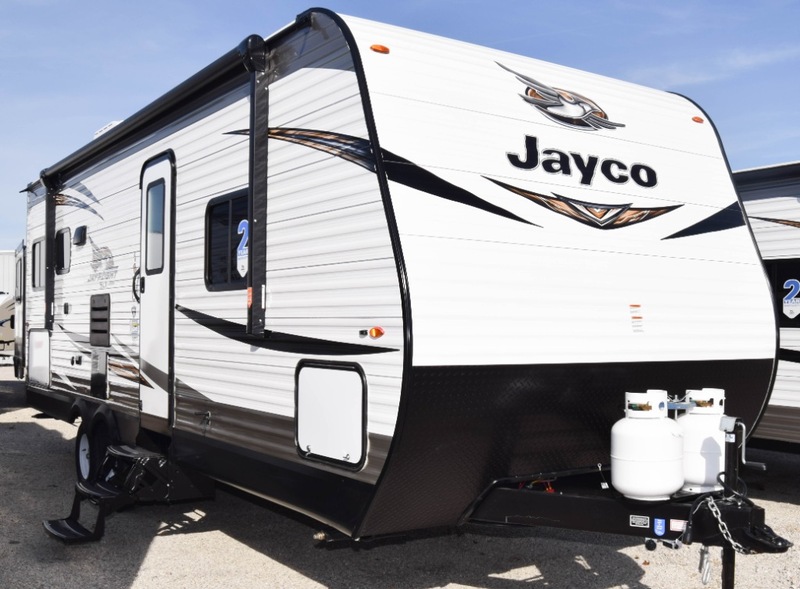 If you enjoy being in the great outdoors and prefer sleeping in comfort then this Jay Flight SLX 8 245RLS travel trailer is perfect for you. 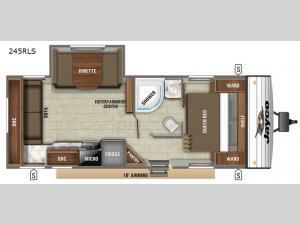 The semi-private front bedroom offers a queen size Simmons mattress for the owners and a second entry into the full bath which has a bathroom skylight for more natural lighting. 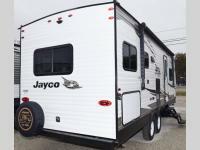 You and your family or extra guests can relax on the Jackknife sofa and booth dinette while visiting with the cook. 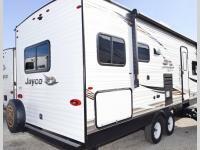 The furniture also folds down to provide extra sleeping space as well. 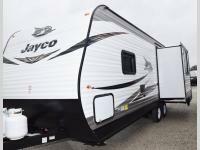 There is also an outside shower and a 16' power awning with LED lights for your convenience. 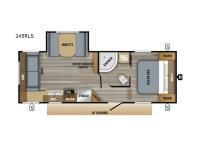 So if you are a couple or a family of five, take a look at this model today!